Support our family of fathers, mothers, grandparents, partners and other family members affected by the cancer of family breakdown. 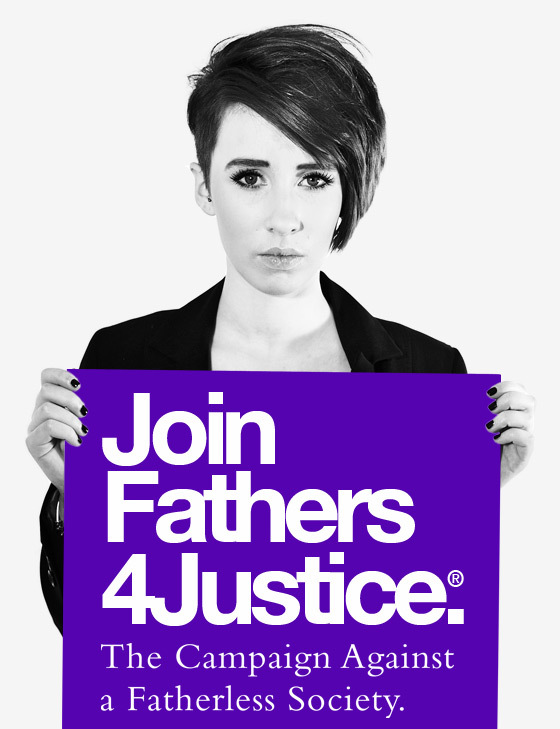 On the Fathers4Justice Forum you will receive invaluable help, support and advice from our online community and be able share your story with people who understand how you are feeling and be able to access the full Fathers 4 Justice web site with exclusive promotional offers. Our private online help forum can offer you invaluable help, support and advice from other fathers, parents, relatives and the F4J Team. Share your concerns and problems with problems with people in the same situation as you. One years subscription to our online forum is £30.00. JOIN NOW: £30.00 Single payment for one year. Confidential telephone conversation to discuss your case, case review and strategy on how to proceed. Lifetime access to the forum. You will receive an email invitation to join our confidential online Help Forum.